Hypocrisy is difficult to deal with. When I observe it, it tends to make me mad. When my wife observes it, she can hardly contain herself with righteous indignation. When I think of hypocrisy, I most often think of it as being applied to Christians, who have claimed to have a moral stand against something "wicked" but have then proceeded to be involved in exactly that. As a Christian, I've been a hypocrite...not intentionally, but usually with my kids, I'll find that I've failed on a moral level. It usually comes in the form of me yelling at my son, "You should not react with anger when you don't like something!!!!" Um...unless you're a parent...no that's not right either. Ok. So Christians are hypocrites...forgiven and (hopefully) letting God's Spirit guide our actions in accordance with His will. Because you listened to your wife and ate from the tree about which I commanded you, 'You must not eat of it', Cursed is the ground because of you; through painful toil you will eat of it all the days of your life. It will produce thorns and thistles for you, and you will eat the plants of the field. By the sweat of your brow you will eat your food until you return to the ground, since from it you were taken; for dust you are and to dust you will return. So death, that terrible enemy, made itself prevalent within creation. Why are thorns and thistles mentioned in the curse? In the same sentence that describes Adam's inevitable death, God declares that mankind will face the problem of thorns. Odd. 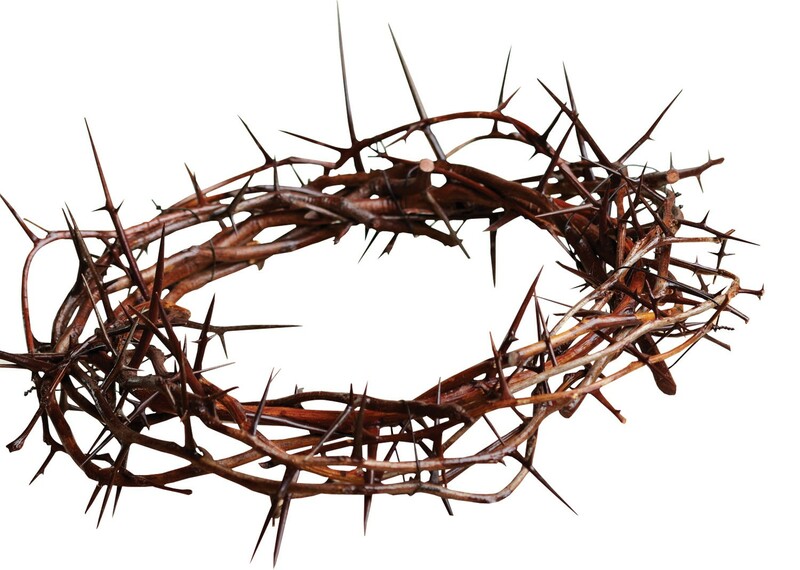 The curse of sin was explicitly stated in the garden as thorns and death. Jesus took both of these upon himself and decisively defeated them both with his resurrection. Thankfully, the perfect Messiah, who did not come to restore Israel's political dominance in worldly affairs, took the curse of sins upon himself so that we could be restored to life.